Later in my life, when I began to study Tibetan Buddhism, I came across the concept of termas, or “treasure teachings.” Termas are Dharma texts that were “buried” with the purpose of being discovered at a later date–visionary teachings for future times– and are believed to be hidden in trees, lakes, the earth and even the sky. A terton is one who discovers terma. In the West, we might refer to one of these tertons as a visionary or dreamer, someone who is inspired to happen upon a new way of doing things. Not only in my practice of Tibetan Buddhism have I been the fortunate recipient of such hidden treasure, but also in my working life as a Jin Shin Jyutsu practitioner over the past twenty-eight years. By now you must be asking. “What in the world is Jin Shin Jyutsu®?” Allow me to explain a little-known, but highly effective hands-on healing art. Literally translated, Jyutsu means art, Shin means Creator, and Jin means compassionate man. And so it is. The Creator’s art through compassionate man. Although the origins of the art of Jin Shin Jyutsu are cloudy, it was widely known in India before the birth of Buddha and in the Christian world before the birth of Moses. This profound wisdom was passed orally from one generation to the next and was first recorded in 712 A. D. in the Kojiki (the Record of Ancient Things). The art is so simple, people lost faith in the practice and it had nearly disappeared until a philosopher and Zen monk named Jiro Murai rediscovered it in the early 1900’s. By his own account, Master Murai, as a young man, was given to excesses. Through abuse of his body, he contracted a terminal illness. Even though he descended from a long line of physicians, no help could be found for his condition. He asked to be taken to a cabin in the mountains and left alone for seven days. From his interest in spiritual matters and his study of the Kojiki, he wanted to prove or disprove the ancient teachings on health. He was so weak, he only had strength to utilize the finger postures and breathing practices. On the seventh day, he experienced the feeling of being taken from a deep freeze and thrown into a fiery furnace. His fever was so extreme he became unconscious and was sure his life had come to an end. Miraculously, regained consciousness and felt a calm and peacefulness come over him He was completely healed. He fell to his knees and vowed to dedicate the remainder of his life (50 more years) to researching these healing practices. Master Jiro Murai became famous as a healer all over Japan. He would travel from village to village and park to park, treating people and making notes. When he would arrive in a village, he would say, “All right. Everyone with intestinal problems, line up.” He would listen to the pulses on each wrist and work on these people, using finger procure at various points on the body. Eventually he was called upon to treat the Imperial family, including Emperor Hirohito. At that time, the Emperor was considered a god, so Murai could not look at his face, much less touch his body. He treated the Emperor by holding his hands three inches above his body, using the life force energy emanating from his palms and fingertips. As a result of his healing abilities, Master Murai was given access to the imperial Library, where he was able to undertake meticulous research from all the world’s ancient traditions. He often used his own body as a laboratory. My own teacher, Mary Burmeister, first met Jiro Murai in Japan In the late 1940’s, when she went there to study the Japanese language. Born in Seattle In 1918 of Japanese-American heritage, Mary and her family had been interned at Manzanar during World War II. Mary had emerged with a chip on her shoulder. She had decided to immerse herself In Japanese culture, with the idea of perhaps becoming an ambassador. She was introduced to her teacher by a woman she was coaching in English. At their first meeting, Jiro Murai asked young Mary if she would like to study with him, to take a gift from Japan to America. She said she had no idea at the time of the magnitude of this “gift,” but found herself answering, “Yes.” She studied with him in Japan for five years, and upon her return to America, through correspondence for seven more years. America. Having been a seeker for all of my adult life, as soon as I heard her speak, I knew I had found what I was looking for and would be practicing this art for the rest of my life. 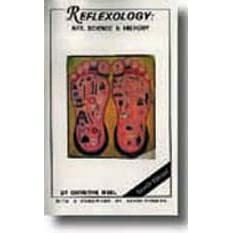 Recently, I seem to have struck gold again, with my decision to undertake studies of Reflexology with Bill Flocco, director of the American Academy of Reflexology and creator of the Flocco Method of integrating foot, hand and ear Reflexology. According to ancient history, different methods of working with the feet existed in Egypt, China and India before the birth of Christ and may well have followed the migration of Buddhism as it spread from India to China, and later Japan. Around the same time Jiro Murai was conducting his studies of Jin Shin Jyutsu, Dr William Fitzgerald, an American medical doctor credited with the development and practice of Reflexology as we know it today, was undertaking his own studies of “zone therapy.” Fitzgerald theorized ten vertical zones running the length of the body; just as in Jin Shin Jyutsu, the body’s energy flow is vertical. Later, another American medical doctor, Dr. Joe Shelby Riley, added to Fitzgerald’s work with his discovery of horizontal zones dividing the body and included work with reflexes in the ears His first book was published in 1919. According to Christine Issel, author of REFLEXOLOGY: ART, SCIENCE AND HISTORY, a man named Mas Watanabe has practiced “nerve therapy” or what he calls Soku Shinjutsu for years. Soku Shinjutsu has been translated as “observation of feet and treatment of foot nerves.” He would be roughly the age of Mary Burmeister now, and has said he studied this art in a Buddhist monastery in Japan in the 1940’s, confirming my own feelings that there exists a connection between the art of Reflexology and the art of Jin Shin Jyutsu. It seems that in the early 1900’s in Germany techniques known as “reflex massage” wore developed, and likewise in Russia, doctors such as Pavlov and Bekhterev were developing systems of “reflex therapy,” leading one to postulate that perhaps all of this work is an “archetypal form of therapy,” hidden treasure waiting to be discovered. Both Jin Shin Jyutsu and Reflexology are “touch therapies” that may be applied to self and to others, and both are used to relieve stress and promote relaxation and self-healing. Jin Shin Jyutsu is the study of the “knowing” of the three main balancing flows, the Main Central Flow, the Major Vertical or Supervisor Flow, and the Diagonal Mediator Flow, referred to as the Trinity. These energy flows ascend the posterior and descend the anterior of the body, and are connected to the breath (down the front, exhaling and unloading, and up the back, inhaling and receiving). As they freely circulate throughout the body, they harmonize all the rest of the body function energy flows, including the Twelve Organ Function Energy Flows. Due to various tensions–physical abuse of the body, accident or injury, hereditary characteristics and/or mental and emotional anxieties–these flows may be disrupted or stagnate, causing various ailments to appear. When these flows are in balance and harmony, all sources of stagnation are removed and the body is recharged and rejuvenated. Jin Shin Jyutsu is an art and not a technique. An art is simple, requiring deep understanding and creativity; whereas a technique is complicated, and requires much effort in memorization and precision, in order not to do harm. In basic Reflexology, if an organ is located on the left side of the body, i.e., the stomach, the reflex for the stomach is also located primarily on the left foot, hand and ear. Jin Shin Jyutsu works with the principle of opposites. If the effect is on the left, the cause is located on the right. If the effect is above, the cause is below. If the effect is found on the front of the body, the cause exists in the back. It is interesting to note that unlike acupuncture, which utilizes hundreds of points all over the body, Jin Shin Jyutsu utilizes only 26 “safety energy locks”, plus points along the midline of the body and the fingers and toes. Of these 26 main points on the left and right sides of the body, 5 are located on each foot, emphasizing the importance of the feet. Indeed, one of these points, located on the medial instep, is considered the balance point for the entire body. At the beginning of a Jin Shin Jyutsu session, pulses in each wrist are “listened to” rather than “read” to determine which flows need to be harmonized, in order to restore balance to the body. During a session, two points at a time are held until the pulses are strong and synchronized, rather than being massaged or reflexed. During Reflexology sessions, points are also held, like the Hoku point in the hands, the solar plexus reflex and big toe on the feet, and several points in the ear, where pulses may also be felt. In Jin Shin Jyutsu, these pulses are referred to as Universal Pulse, or the rhythm of the Universe. In both modalities, Jin Shin Jyutsu and Reflexology, the practitioner’s work is not to diagnose lose or treat specific ailments. The goals for both forms of treatment are the same–increased and unimpeded circulation, stress reduction, and a restoration of balance and harmony, so that the body may heal itself. As a Jin Shin Jyutsu practitioner, I have found Reflexology to be very useful, providing more caring touch to feet, hands and ears–the parts of the body that seem to be the most neglected. In some instances, such as dealing with menstrual cramps, I have found Reflexology to be the most effective treatment of all. Having access to another therapy discipline is useful indeed. By beginning a Jin Shin Jyutsu session with reflexing the hands, in particular the neck reflexes on the thumb and then the palmar side of the palms, with special attention to the Hoku point, an immediate connection is established with the client and the body seems to be more receptive to healing. By ending a Jin Shin Jyutsu session with some techniques of foot reflexology and a holding of the solar plexus and pituitary reflexes on the feet, along with attention to points on the ears, clients seem to be profoundly relaxed and satisfied. I am forever grateful to all those dedicated souls whose primary aim has been to uncover deeper and deeper levels of understanding and who have paved the way for those who follow to expand their own understanding of life at all levels–physical, mental, emotional and spiritual. My profound wish is that my own journey of discovery never ends.